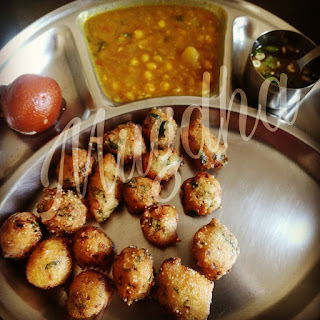 Mugdha Mohanty | 22:36 | breakfast | deep fried | Dumplings | Odia Cuisines | Recipes | Rice | Snacks Be the first to comment! 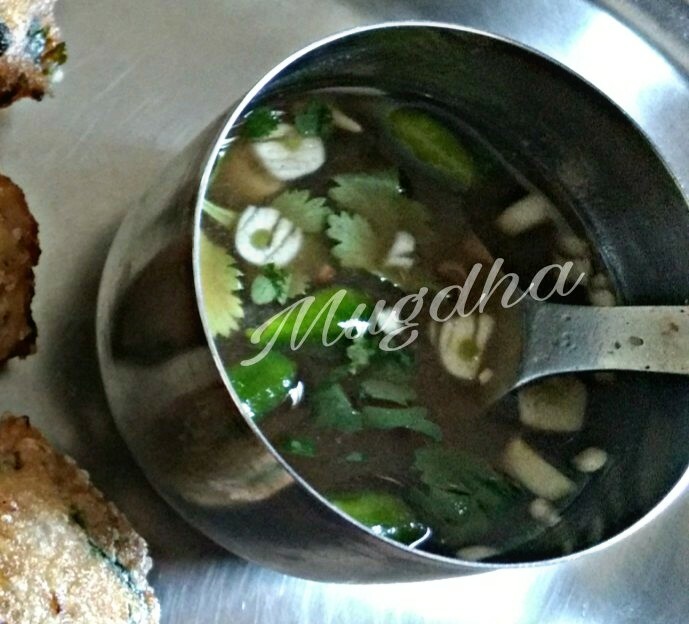 Hello friends, recently I came across this delicious recipe called chaula bara(Rice dumplings) with tentuli pani(Tamarind water). Its actually a Western Odisha delicacy which I learned from a food group in FB, when I tried this it's just magical..
Soak the rice and urad dal in water over night. 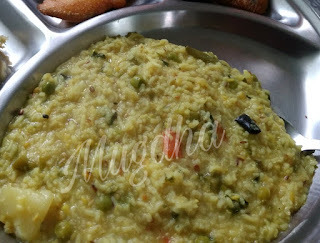 In the morning roughly grind the rice and dal separately, then mix together in a big bowl. Add all the other ingredients mentioned for chaula bara except oil. Mix everything properly. Heat oil in a big kadhai. 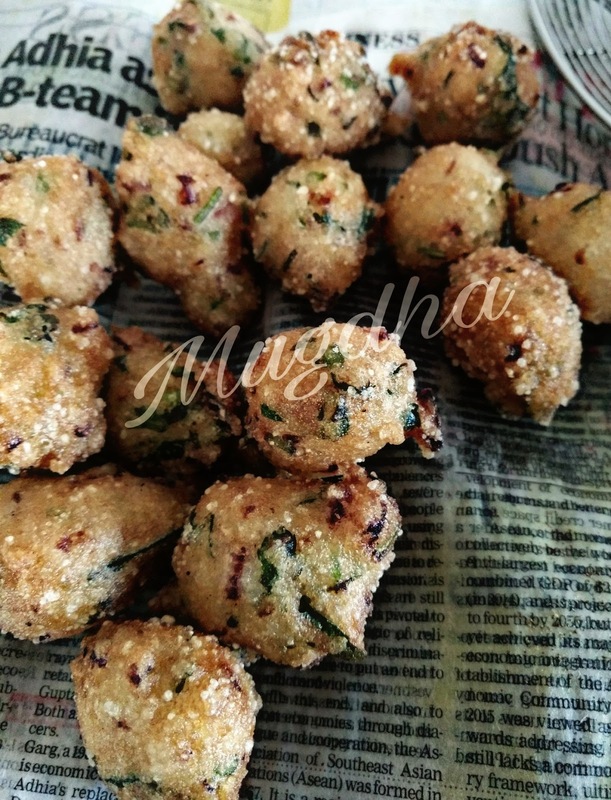 Wet your hands, take small amount of the batter shape it like a small round dumpling and put in the hot oil ,fry in medium flame till golden brown and remove in paper towels. Fry all the dumplings and keep aside. Drain the water from the tamarind pulp and take it in a bowl. Add all the other ingredients for tentuli pani and it's ready to go with the crispy chaula bara, you already prepared. 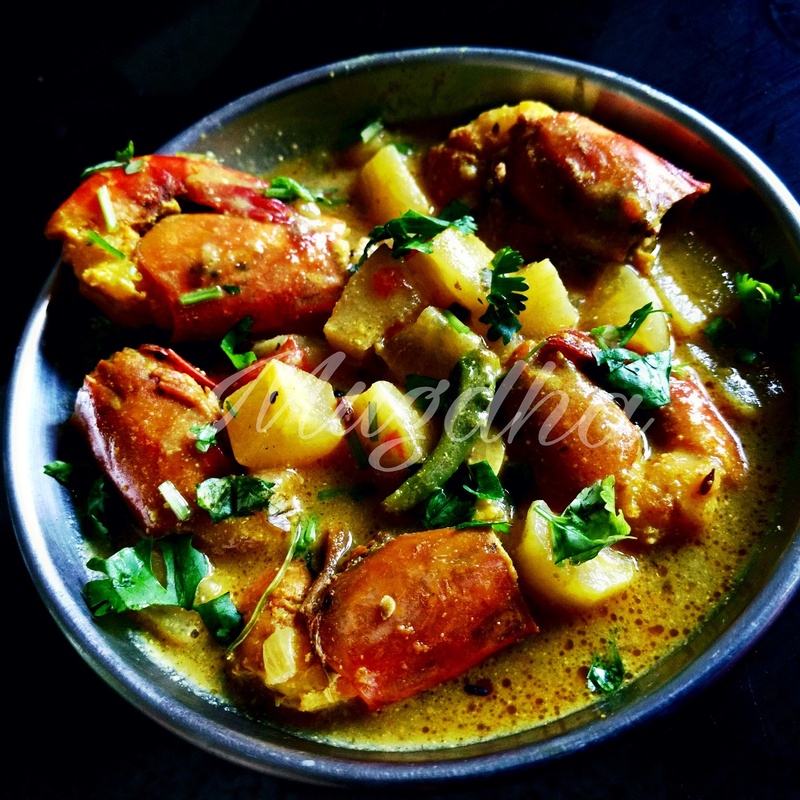 Now enjoy as it is or have with Ghugni or aloo dum like me..
*You can also make curries using the Chaula bara. Mugdha Mohanty | 20:22 | Indian | Recipes | Rice | Veg Be the first to comment! Last weekend the weather in my place was cloudy, rainy and we feel the cold, so according to the weather my hubby demands a hot, melt in mouth slurpy khechudi/khichuri/khichdi..I also like the idea because it's an easy to make simple healthy and yummy food..I made aloo bharta, fish fry and Baigani(Brinjal fry/beguni) to accompany the khechudi and we enjoyed every bit of it..
Dry roast the Yellow moong dal till you get a nice aroma. Wash and soak the yellow moong dal with water. Wash, peel and cut the vegetables. Grind the green chilli with ginger to a smooth paste. Heat ghee in a handi, add cinnamon, tej patta, cardamom,cloves and dry red chillies and cumin seeds. When the seeds started to splutter, add a pinch of hing with the green chilli ginger paste. Fry for a minute, add all the vegetables and further shallow fry them for 2-3 minutes. Now drain the rice and dal from the water and add to the above handi. Fry them for 1-2 minutes more then add turmeric powder and salt to taste. Mix properly then add water with sugar and cook by covering the lid in a low to medium flame by stirring in between. 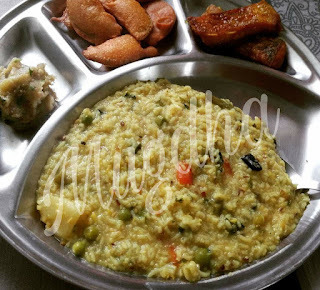 Cook until the rice and dal are fully cooked and became mushy. Add roasted cumin seeds powder and coriander leaves. Check out your desired thickness of water, if you want it more watery add some hot water and mix properly. If you want it thicker then cook it in medium to high flame for few more minute by stirring continuously. If you want a non veg version, you can always add shredded chicken in the above recipe and enjoy. Serve it adding extra ghee on top of khechudi with fries or have it like it is. 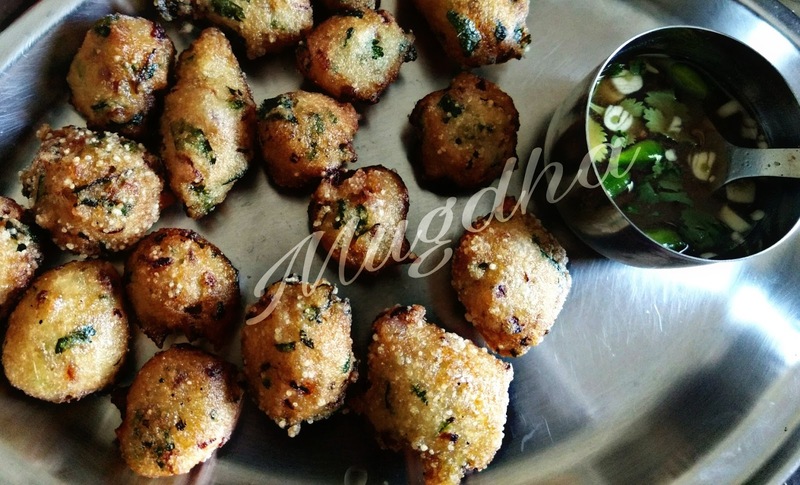 Mugdha Mohanty | 18:44 | Fried | North Indian | Recipes | Snacks | Veg Be the first to comment! Take a big bowl, add maida, sooji, juani, methi leaves or kasoori methi, black pepper, ghee and salt to taste. Mix all the above ingredients properly using your fingers until you get a crumb like texture. Add water spoon by spoon and knead it to make a firm dough. It should be a hard dough. Cover the dough with muslin cloth and keep aside for 20-30 minutes. Knead the dough again for 1-2 minutes then divide in to equal portions. Roll each portion in to 2-3" circles using rolling pin. Don't panick if u can't make a perfect circle. Make 10-12 pricks on it using a fork. Heat oil or ghee in a kadhai, when the oil is medium hot, add 3-4 circle at a time. Deep fry them in low flame till golden brown and crispy. Take out from oil and keep in the tissue paper. 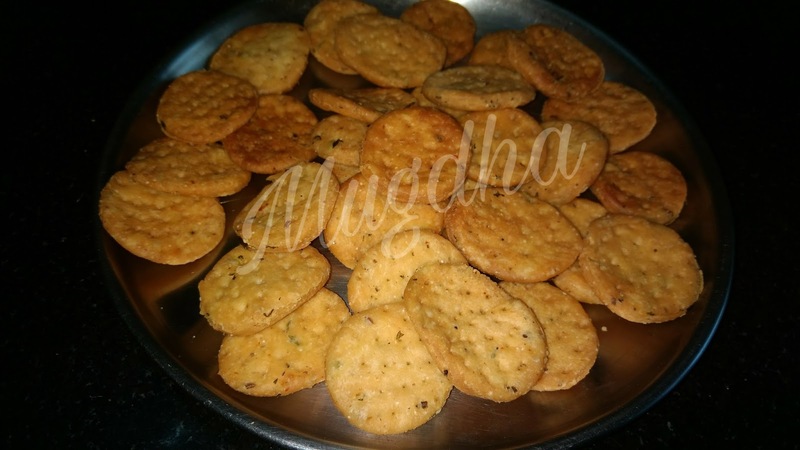 Cool them and serve them with hot tea or as it is. We can store them for 10-15 days in a airtight box. Mugdha Mohanty | 22:11 | Non veg | Odia Cuisines | Prawns | Radish | Recipes Be the first to comment! Wash the prawns properly and marinate them with salt and turmeric powder. 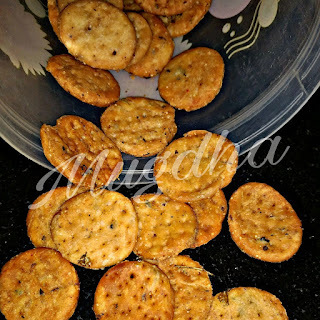 Heat mustard oil in a kadhai, fry them and keep aside. Wash, peel and cut the radishes in to cube sized pieces. Half boil them using water and keep aside. Grind mustard seeds with 1 dry red chilli and 5 cloves of garlic using water. Make a smooth paste and keep aside. Chop remaining 5 garlic cloves length wise. Mix dahi with besan using little water and 1 tsp mustard oil in a bowl and keep it aside. Heat mustard oil in a kadhai, add 1 dry red chilli with panch phoron and curry leaves. When the seeds spluttered then add chopped garlic and fry them for half minute. Then add the half boiled radish pieces to it and fry for 1-2 minutes. Now add mustard paste and turmeric powder, fry them for 2-3 minutes. Add 1 and 1/2 cup water with salt to taste . Cover it and cook for 10 minutes. Add fried prawns with chopped tomatoes, cook for 2 minutes. Now lower the flame and add dahi besan mix to the above. Cover and cook further for 2-3 minutes. Check whether the radishes are cooked. Add water to the idli maker cover the lid and heat it on low flame for 10 minutes. In the mean time, Mix flour, baking powder, baking soda, sugar powder with salt and sift 2 to 3 times. This process is to incorporate everything together. Combine oil, milk, honey and condensed milk. Now slowly fold in the sifted flour. Mix everything gently to avoid lumps. Divide the batter in to two. Add coco powder in one part. Lightly grease the idli plates in oil and dust with all purpose flour. Take one spoon of white batter then add the coco batter and make design on top of the white batter. Fill each cavities in the similar way. Do not add too much batter as it will increase in volume on steaming. Place the plates in idli maker, cover the lid and cook for 10-15 minutes on low flame. Check by inserting a toothpick or fork, if it comes out clean then our cakes are ready. Turn out the flame and leave it for 3-4 minutes. 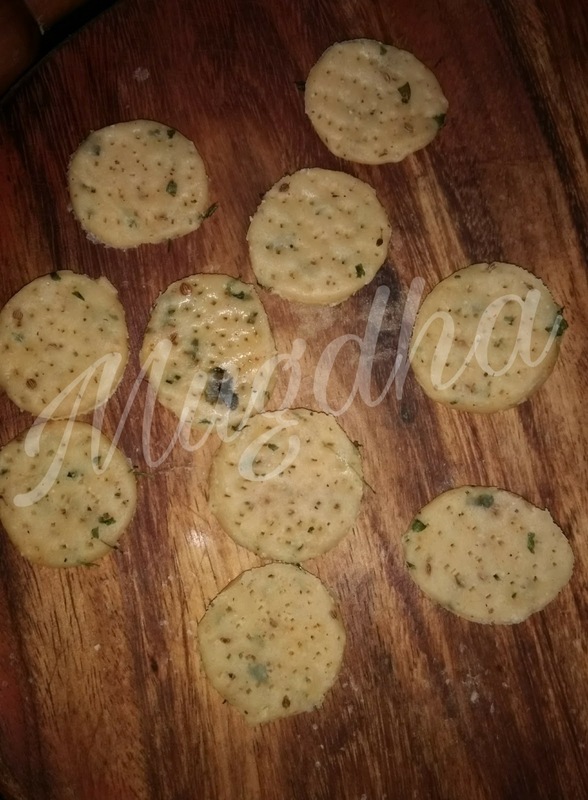 Remove the idli plates from the idli maker carefully.